The NAB Show is not scheduled to open until April 6, 2013 and already there are plenty of 'leaks and rumors' coming. 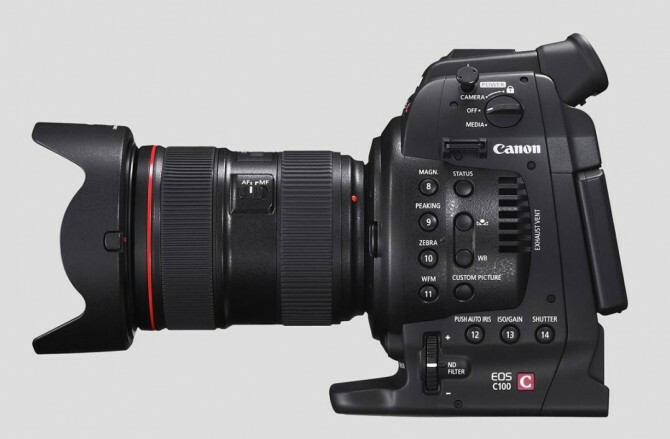 Yesterday, I reported Canon may be coming out with a new cinema camera and lenses to fill the gap between the C100 and C300 cameras. Now there is talk of even another cinema camera below the C100, perhaps a C50. Currently, the C100 lists for $6,499 and the C300 has a suggested price of $15,999 so there is plenty of room to fit another camera in there. But in order to price a camera below the C100, Canon will have to compromise and take away features and functions to achieve a lower price point. They did that with the full frame EOS-6D camera, which is essentially the little brother of the EOS-5D Mk III. In my opinion, Canon gave the camera 'gimmickry' stuff like GPS and WiFi and reduced AF points and ISO performance. Although the EOS-6D is a fine camera for those who want to get into full frame photography coming from the APS-C world, I am not a big fan of the compromise. I am not a video person and rarely use the video functions on my cameras but if I were to get into video down the road, my ideal body will be the EOS-1D C, the camera that can perform like the EOS-1D X in still photography and deliver 4K video clips as well.